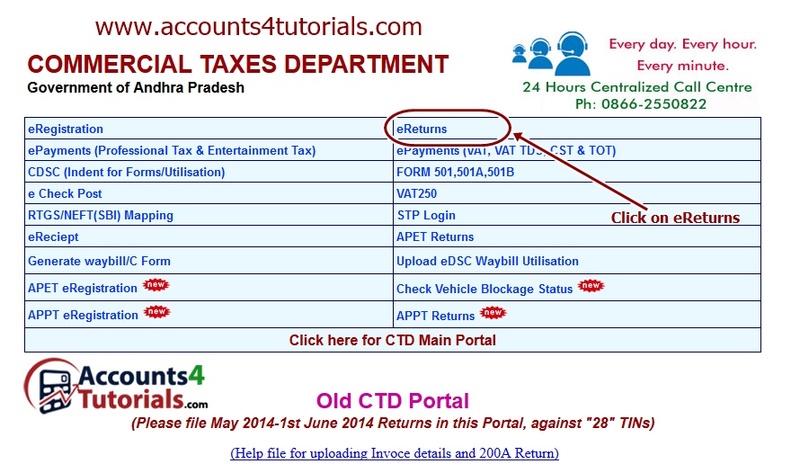 NOTE: PURCHASE INVOICE DATE / TRANSACTION PERIOD MUST BE AFTER 02-JUNE 2014. IF TRANSACTION PERIOD BEFORE 02-JUNE 2014, YOU CAN GENERATE C-FORM ON OLD CTD PORTAL. VISIT THE FOLLOWING TUTORIAL. 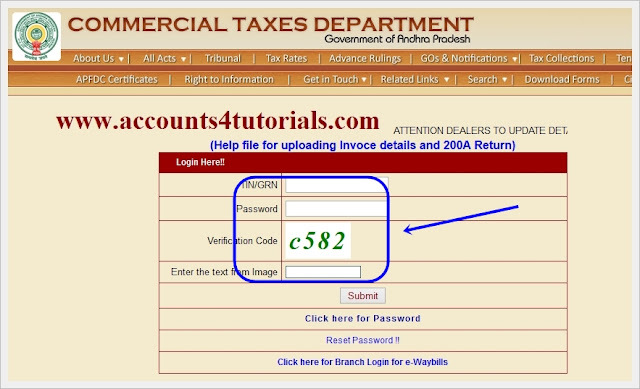 Note: TIN No Must be start with "37"
Parcel Service : Either the dealer should enter the vehicle number here or the transporter should generate "Transporter Declaration" with correct vehicle number. Otherwise dealer is liable for penalties. 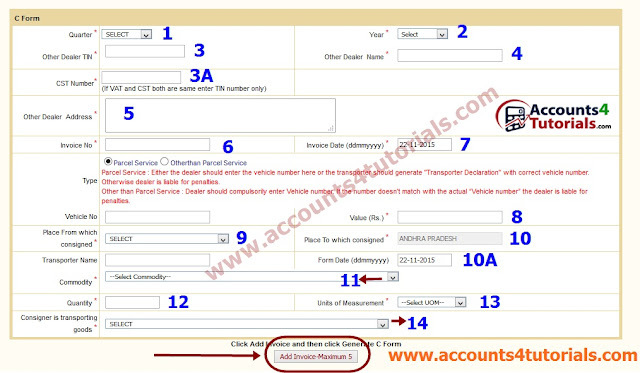 Other than Parcel Service : Dealer should compulsorily enter Vehicle number. 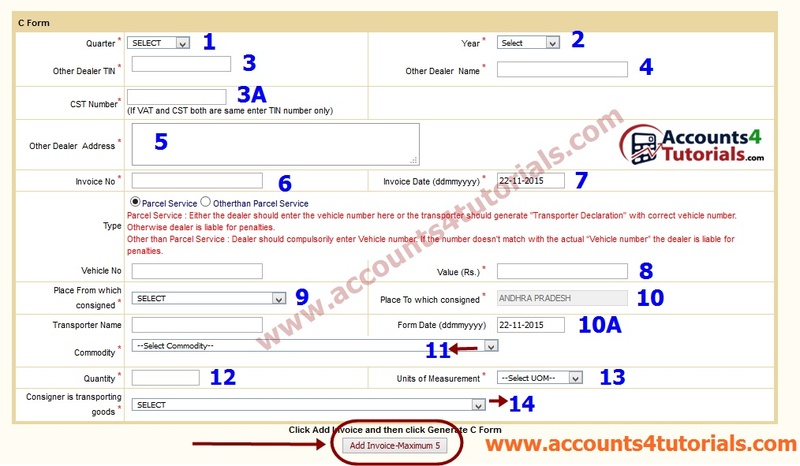 If the number doesn't match with the actual “Vehicle number” the dealer is liable for penalties. 11.Select Purchase Material Commodity from list. 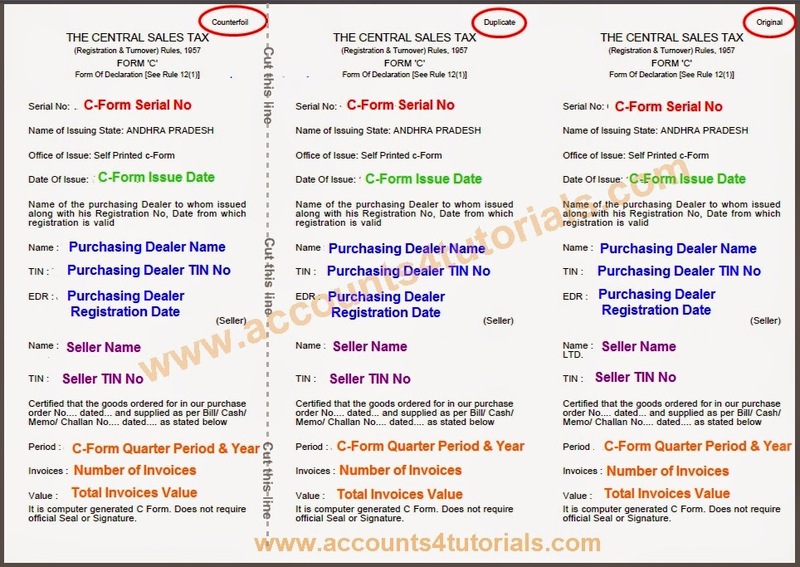 "If required commodity is not appearing in the list, please contact your circle CTO office to add commodity". Its just half day process. or select another one from the list as per your requirement. > If you update another invoice just re-enter the Invoice Details, then click on "Update Invoice"
> After uploaded completed, Just verify all Details, then click on "Generate C-Form"
what do you mean seller tin no" enter seller tin no"